If you are redecorating or updating and have chosen the industrial, rustic or old world look for your space, you can pretty much achieve this with period style lighting and furniture, but if you want to take this a step further you can install a faux brick wall. Before you hit the back button with fears of gluing little pieces of bricks to the wall, check out the below products I have found online, many with super reviews. Wall papers have come a long way now and the look is super realistic. The best thing is to choose a focus wall in a room and only put the paper or panels on this wall and then add your lighting fixtures especially the industrial wall sconces for some added details. This is literally one big faux brick panel that you can use on a focus wall. You can get these in different brick styles, but I thought this one would be good for an old building style like the lofts you can get with exposed stone walls. The mural is very realistic. This could be taken down later if you are renting, but it is also a really good way to cover a bad wall. 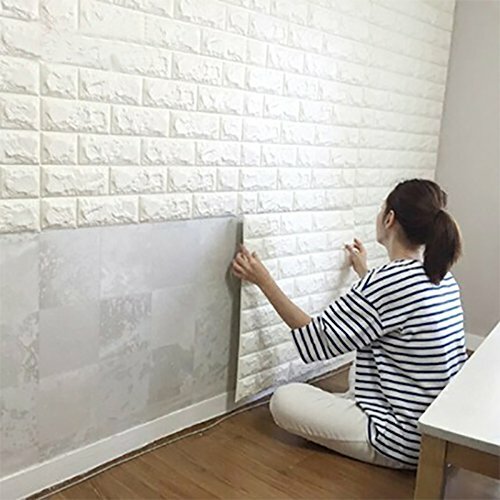 If your space has some pitted drywall, and you don't want the expense and mess of redoing it, you could simply cover it with these thicker paper murals of brick. It would instantly smooth the wall and give you the focus wall and background for adding your industrial wall sconces or metal artwork. Add in a few rustic floor lamps and furniture and you will have the look without the price tag. This product comes in rolls of wallpaper rather than a mural style. Just match up the bricks and it looks really realistic. So far you have seen a total one piece wall mural and then rolls of wallpaper. The other options are these 3D peel and stick wall panels. Perfect way to cover a bad wall and add some ambiance to your space. This super realistic wallpaper is of uneven stone or dry stacked stone. This would look great on any wall, but I think one wall could be a focus wall. 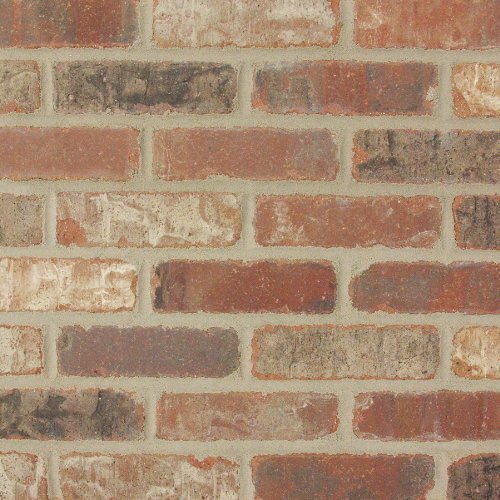 If you decide you do want a brick wall but don't like the idea of wallpaper, murals or wall panels, you can go the extra step and actually get brick veneer, which are real bricks just thinner and you glue them to the wall. You will get an actual brick wall this way but it will take time. These wallpapers, panels and murals can instantly turn a plain wall into something that suits your styling. It is a good way to cover up a bad wall without having to do repairs or painting. Wallpapers have come a long way now and are not the pasted flowers on the wall, these brick walls are literal photographs and therefore are about as realistic as you can get. This can darken or lighten a room and when you add your industrial wall sconces, the room will look the part and reflect your personality without destruction, construction or a huge budget. 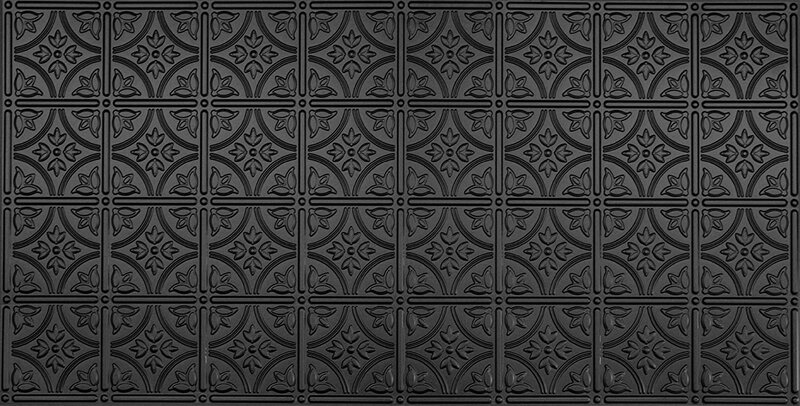 Another option for creating an old world or rustic look is to use panels that look like tin. The above example can be glued to the ceiling or the walls and are matte black. This would darken a wall and would be a great reflective surface for your industrial wall sconces. Any look of brick, metal, iron or tin gives the industrial look. Try something different on at least one wall of a room and see what a difference it can make. If you want to try something totally different with less labor, then consider dressing one wall up with these picture curtain panels. Very realistic panels of old warehouse glass and outdoor woods. You don't need windows to dress up a wall, this would give the impression of industrial windows. Something totally different. There are so many ways to add the rustic old world styling to a room without too much expense or construction. If you are not a big DIY fan, this would only require a curtain rod. It could cover a bad or boring wall instantly. Also check out my other pages for more Industrial, Old World Styling Ideas!